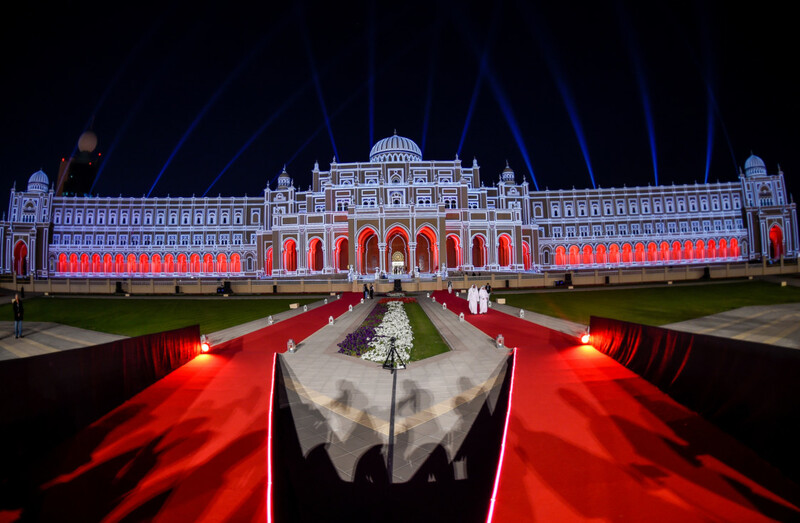 Watch as internationally renowned artists celebrate science, creativity and heritage in a display of lights, colours and music at the city’s landmarks. Until February 16 at 6pm daily. 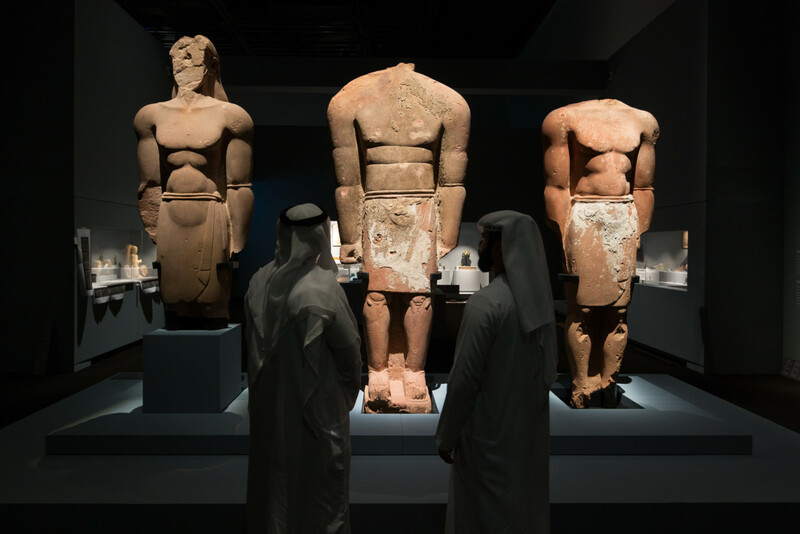 The exhibition explores the rich history of the Arabian Peninsula through archaeological and cultural artefacts, including a selection of rare pieces from the UAE. At Louvre Abu Dhabi. Last day is Saturday. Entry is Dh60 (Dh30 for students and members of the military). Price is before VAT. Chinese New Year celebrations continue at Rosewood Abu Dhabi, with traditional Chinese lanterns across its Dai Pai Dong restaurant and an authentic eight-course Cantonese lunch and dinner served for Dh288. Daily, until February 19. Also, fireworks display hosted by Al Maryah Island. Roberto’s Abu Dhabi is giving all chocolate lovers a chance to indulge during the month of love with their special chocolate menu available through February. Menu includes Foie gras terrine with cocoa and tagliatelle pasta with 62 per cent chocolate. Prices vary. Watch the tourist attraction dance to Lady Gaga’s heart-rending song I’ll Never Love Again from the film A Star is Born daily at 8.30pm, until Valentine’s Day. Join the community at the annual event along with patients, carers and specialists to raise awareness and find solutions for this debilitating disease. This year, the walk is on February 22 for 3.5km starting at Gate 2 of Dubai Creek Park at 8am. Free to join but registration essential. For a limited time, Reel Cinemas at Rove Downtown is pricing all its tickets at Dh30, instead of Dh45. Also food (at extra cost) delivered to your seat. Retailer Eggs & Soldiers and parent support centre Malaak Mama & Baby Care are organising a series of free events for parents of newborns. 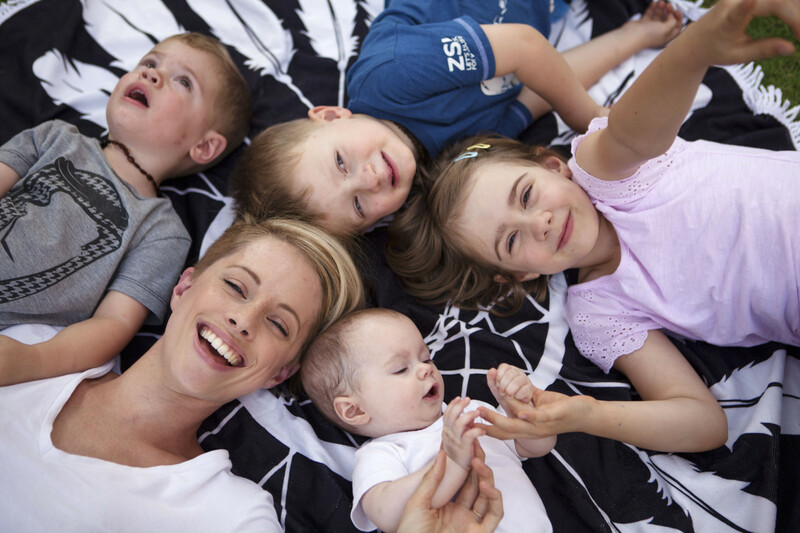 Today, Safe Sleep with B-Safe, along with Zahirah Marty and Jordana Smith, about co-sleeping and how to create a safe sleep environment at each infant/toddler stage. Also, a Weaning for Better Sleep workshop with Jordana Smith, Dietician at Infinity, The Family Medicine Clinic. At 9am, Time Square Centre. Registration is a must. The Noodle House has launched a tiffin lunch menu inspired by the Indian tiffin tin concept. 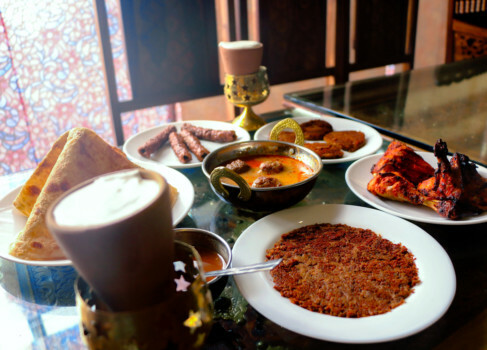 Options include The Delhi, which comes with onion pakora, paneer kathi roll and chili chicken with rice and The Vegetarian, which includes edamame, spring rolls and Shanghai noodles. Price is Dh38 including choice of iced tea or bottled water. Available daily between 12 to 4pm for dine-in the BurJuman outlet. Catch a specially-programmed Imagine show to celebrate the Chinese New Year at the Guinness World Record attraction. Show is daily every hour after suset. Until Thursday. The annual event, in solidarity with children in developing countries who walk long distances every day to go to school, will take place on Friday at Dubai Creek Park, next to Al Garhoud Bridge, Gate 2. Join with family, friends and colleagues to walk 4,000 steps (3km). Registration amount of Dh30 is considered as a donation to Dubai Cares to support its educational programmes around the world. Arrive by 7.30am. Dubai Food Festival is back, and this year, it’s giving food lovers a chance to vote for their Hidden Gems, its annual list of the most appetising culinary spots in the city. Vote from the 40 shortlisted restaurants and cafes and 10 of you can walk away with Dh1,000 plus a year-long Zomato Gold membership. The Dubai Food Festival runs from February 21 to March 9. 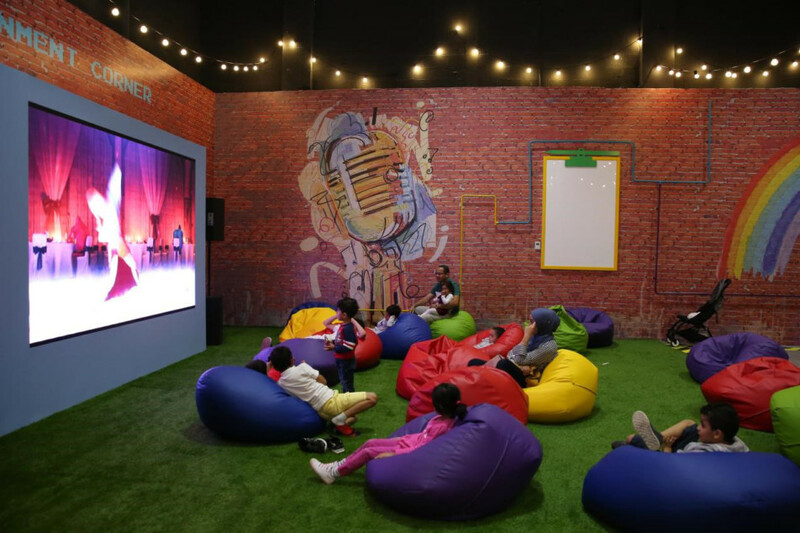 Parents can drop off their kids at City Centre Ajman’s ‘Fun Factory’ for any of the artistic sessions, including sand art, pottery, slime making workshops, free-style painting and candy jar decoration workshops after 5pm. Free. Until February 28.